Taking a lot of inspiration from (Cheshire Brew Crew) Mark’s Rye Saison which we sampled earlier in the year came my own version. The Rye adds a peppery taste which work amazingly well with a Saison base. If it turns out to be anything like Mark’s version I’ll be very happy indeed! There is a tendency for the Rye addition to cause mashes to ‘stick’ more frequently so Rice Hulls are added to help keep some structure to the mash when sparging, and the overall OG is boosted with the addition of the Dark Belgian Candi Sugar. 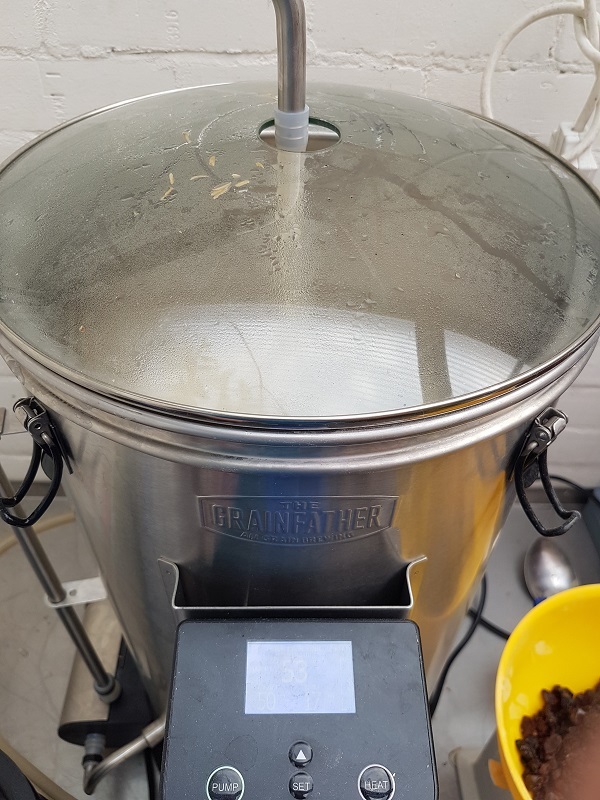 The brewday was mostly without issue although the eagle-eyed amongst you will spot the filter from the Grainfather on the bench in the photo above. That was not supposed to be there! Darn! 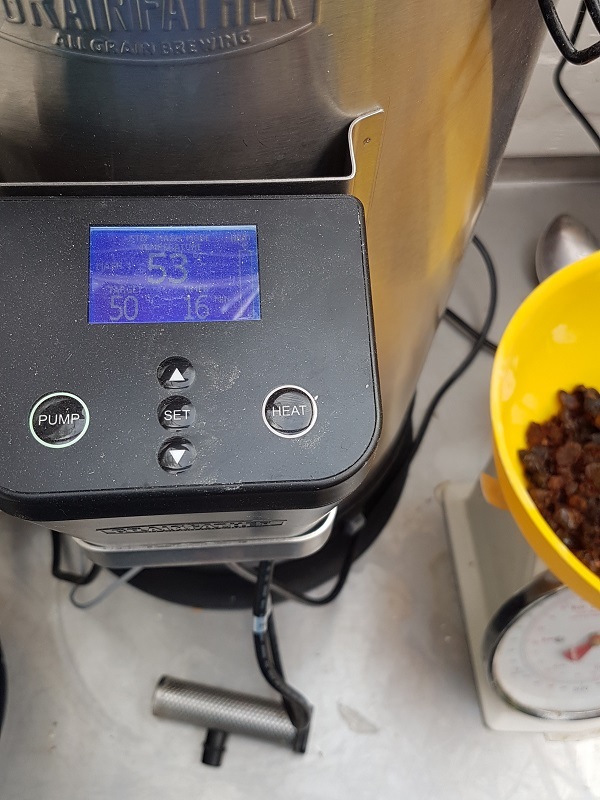 The inevitable blocked pump aside, the brewday went ok and I ended up with an OG of 1.059 and with a FG of approaching 1.004 the ABV was a monstrous 7.2%! Great beer, rye can be tricky!